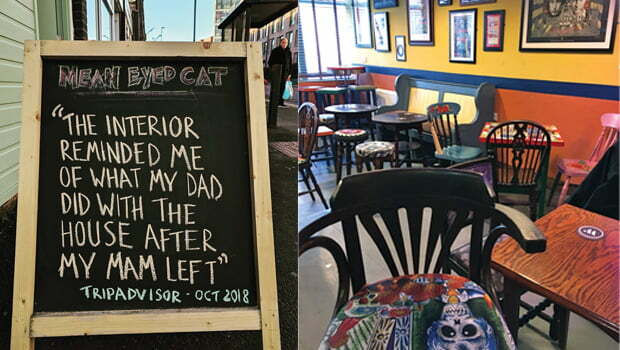 This announcement from the Mean Eyed Cat in Newcastle caught the Cheers eye. Regular TripAdvisor reviews of the St Thomas Street pub are posted on the A-board outside and this one certainly raised the intended smile. Our snap also shows what the well-meaning reviewer was getting at. His dad should be proud.